– Dionesio Calunsag Grava began his law enforcement career in 1966 while studying at graduate school, when he served as an officer in the Cebu City Police. In 1972, Dionesio became a police officer for the Bureau of Customs and was eventually promoted to lieutenant. 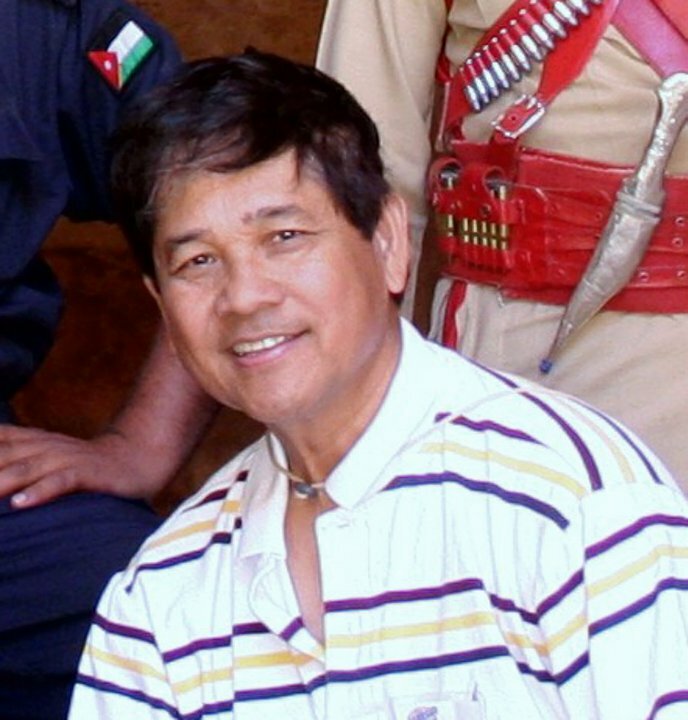 Following his assignment in 1977 to the port of Mactan, he uncovered a smuggling scheme involving the Collector of Customs Timoteo Campo, who was also Dionesio’s supervisor. In retaliation, Mr. Campo brought administrative charges against Dionesio, which were later cleared, and transferred him to another assignment. After being reassigned to Mactan in 1987, Dionesio exposed smuggling by the new Collector of Customs, Doroteo Toledo, who has family ties to the Philippine Congress and the National Bureau of Investigation; however, no one pursued Dionesio’s allegations and he was transferred to an outlying post. In 1990, for the third time, he exposed smuggling activities involving his supervisor, after which he was transferred in apparent retaliation. This time, authorities launched an investigation against the Collector, Doroteo Toledo, and Dionesio testified in defiance of Toledo’s orders, leading to a prima facie case against Toledo. The local press well publicized Dionesio’s crusade. Shortly after testifying, Dionesio received various threats: telephone calls telling him his days were numbered, slashed tires, the poisoning of his pet dog and monkey, and a shirt in the mail with a black ribbon attached, signifying a death threat. Following these threats, and as soon as he could raise the money, Dionesio fled with his family to the United States. Dionesio reapplied for political asylum before the Immigration Judge. He claimed that: “Based on his political beliefs and activities as a policeman and customs officer, he had suffered and fears persecution from all sides: Marcos loyalists, Communist insurgents in the New People’s Army and the Philippine military and police force – including his former supervisors.” Dionesio fears that Toledo, who retained his position following the investigation, will kill him just as Toledo allegedly killed one of Dionesio’s fellow customs officers. He argues that the Philippines remains corrupt, subject to martial law, and that extra-judicial killings still occur there. On August 19, 1996, Grava testified in support of his application. The immigration judge began the hearing by handing Dionesio his asylum application and declaration and asking him, under oath, whether everything contained therein was true and correct. Dionesio answered that it was. The judge then asked the INS counsel whether he had any objections to making the application and the supporting documentation part of the record. After reviewing the material during a recess, the INS counsel did not object. Following the recess, the immigration judge briefly questioned Mrs. Dionesio, then asked whether the attorneys had any questions. Dionesio’s counsel asked only three questions; the INS counsel added only a few more. Dionesio’s counsel concluded with brief additional questioning. Then the immigration judge gave his oral decision denying the asylum application. Dionesio filed his appeal to the Board of Immigration Appeals. The Board criticized Dionesio’s failure to testify and stated that it could not consider his written application as evidence. The Board rejected the asylum claim on that basis, but noted that even if it had considered the written application, it would reject it because it did not show that the persecution suffered was on account of political opinion. Instead, the Board concluded that it was a matter of personal retaliation. Dionesio contended that the Philippines remained corrupt and rife with extrajudicial killings, and that he feared that Toledo would kill him just as Toledo had killed another customs official. Dionesio brought his case to the The 9th US Circuit Court of Appeals. On March 7, 2000, The 9th US Circuit Court of Appeals disagreed with the previous rulings and told the Board of Immigration Appeals to decide whether Dionesio Grava had shown a “well-founded” fear of persecution for him and his family arising from his whistle-blowing activities. If so, he would be eligible for political asylum. Judge Sidney Thomas handed the 3-0 ruling in favor of Dionesio’s request for political asylum. Starting in 2000, U.S. courts recognized that whistle-blowing against government corruption could be grounds for political asylum in the United States. The landmark case on this issue was Dionesio Grava vs. INS. Dionesio Grava now lives in the Los Angeles Area with his wife and two daughters. He still writes for local newspaper about continuous corruption in the Philippine government. He currently writes for Pinoy Watch Dog, one of the Filipino-American community newspapers published in California. He also advocates preservation of Bisayan languages and started the Mga Bisaya Group in early 2011. He is an active supporter and volunteer for Patnubay Advocacy Group and contributes stories and articles for the group’s website.